An ex Googler once told me, while we use a lot of services everyday, and while we move on from one service to another, one thing never change: your email address. Email plays a very integral part of our digital lifestyle: we use it to communicate with one another and to sign up for new services. 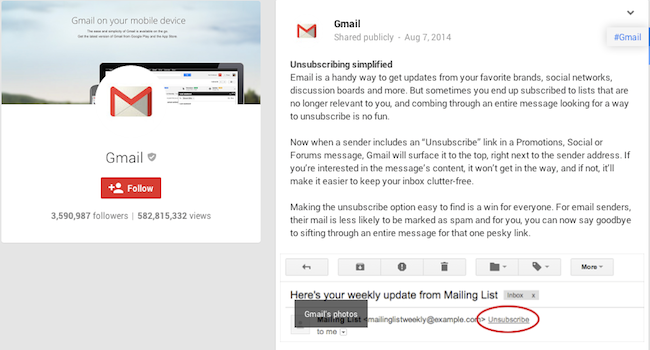 And because of that, Google has just made Gmail better: a new “unsubscribe” button at the top of every promotional email, a new killer feature. With the new “unsubscribe” button, you can easily remove annoying promotions from your inbox. The new feature is definitely good news to heavy email users as unsubscribe links are often hidden away in emails. Get Excited: Google is Making a Smartphone You Can Build At Home! “Sometimes you end up subscribed to lists that are no longer relevant to you, and combing through an entire message looking for a way to unsubscribe is no fun. Now when a sender includes an ‘Unsubscribe’ link in a Promotions, Social or Forums message, Gmail will surface it to the top, right next to the sender address. If you’re interested in the message’s content, it won’t get in the way, and if not, it’ll make it easier to keep your inbox clutter-free.” – Google. The feature isn’t totally new though, as there were reports that Google previously tested the feature with a small number of users. The good news? It’s now rolling out to all Gmail accounts. While Gmail has been first to many email innovations, it is playing catch up here, according to Gordon Kelly of Forbes. “Rivals like Outlook have had this feature for a while and some third party services still offer a more comprehensive service. 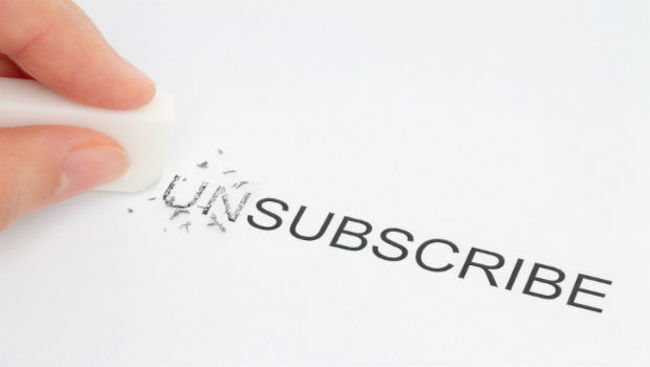 Most notable is Unroll.me which will scan and list all your subscription emails and let you unsubscribe from them all with a single click or tick them off one by one,” wrote Gordon.